So as I’m writing this, Tharja is actually 95% done and was already debuted at Anime USA this year but I never got to share my WIP here so I’ll be sharing each part bit by bit! 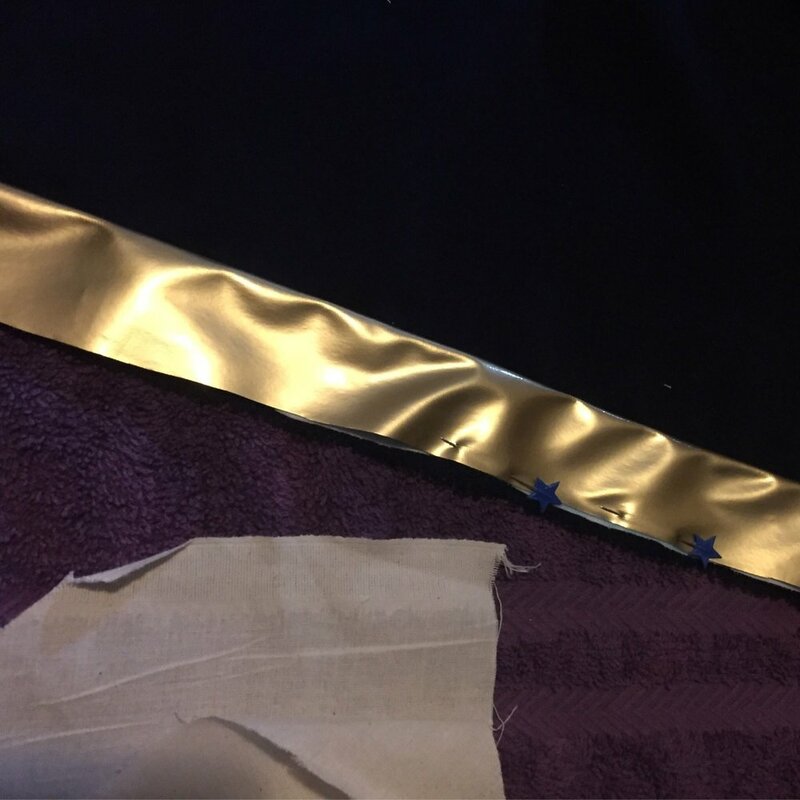 Before I started work on Tharja I thought “This is just a cape and underwear…how hard can that be” and BOY was I WRONG. Firstly, capes use A LOT OF FABRIC and it’s just ENDLESS. Thankfully, I’m short (just barely 5′2″) and only needed about 3yds of the cape fabric and lining to make a cape that was 48 inches long. 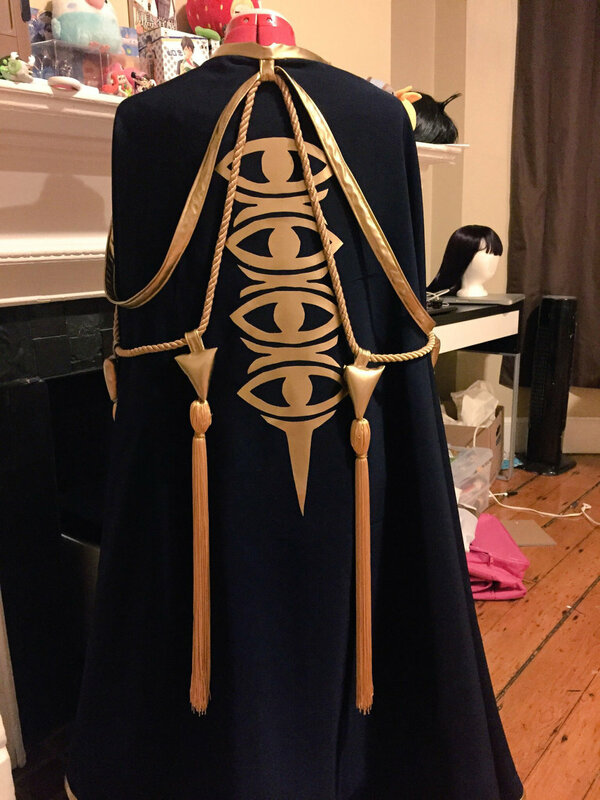 There’s a ton of tutorials on capes out there so I won’t bore you - the cape shape I used for Tharja was a half circle cape. The first thing I did was the gold trim for the cape. In the references above it’s not double fold bias tape since it’s only on one side of the cape so I just sewed it on top of the blue part. Since I didn’t want any visible top stitching I used heat n’ bond tape to keep the vinyl flat when I was sewing it down to the cape.